Tribune Chronicle / John Vargo YSU men’s basketball director of player personnel Kevin Bruinsma edits some game footage on the team bus coming back from the Feb. 2 game at Detroit. SOUTHFIELD, Mich. — Cell phones were placed on one table, laid face down. 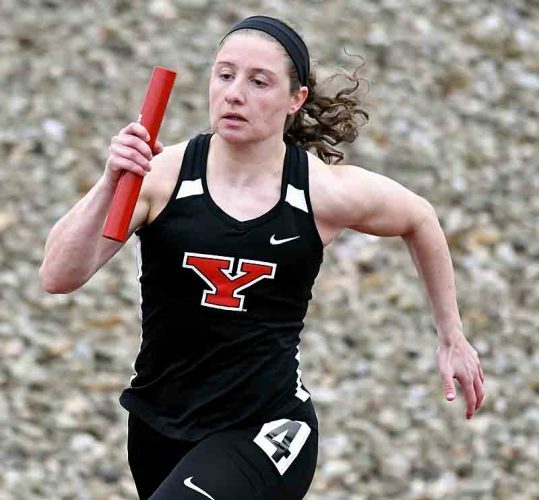 All eyes were up front, focused on the projection through a MacBook held by Youngstown State’s assistant to the head coach Danny Reese, a Cardinal Mooney High School graduate. He sits in a red, padded chair amid others in a conference room at The Westin hotel. The finished product is being displayed on the screen and no smartphones or other devices will be taking the attention of these men’s basketball players. 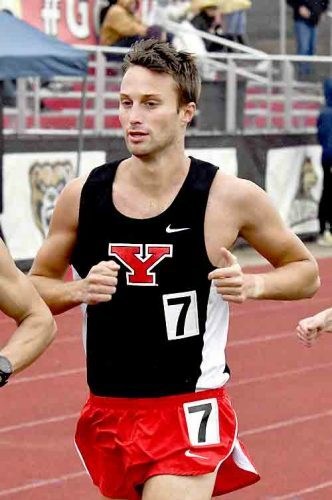 YSU men’s basketball coach Jerrod Calhoun has everyone’s undivided attention. He emphatically told his players the team’s losing streak to Detroit Mercy needed to end on Feb. 2, which eventually happened. 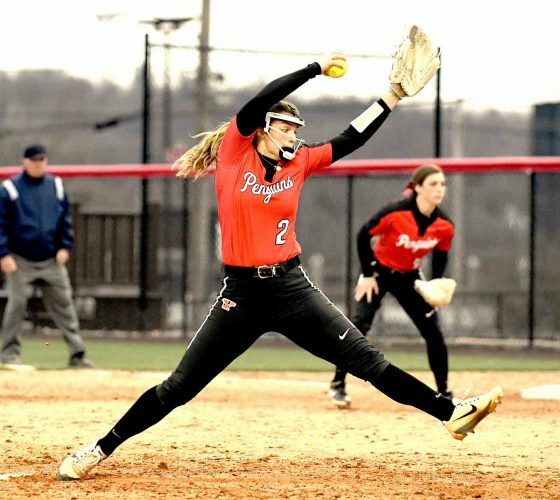 Calhoun had clips from YSU’s loss to Detroit on Dec. 28, from a Jan. 31 win at Oakland and a win the Golden Grizzlies had against Detroit Mercy inside the Titans’ home base of Calihan Hall. What the Penguins did right and what they could improve upon — those were some of the topics Calhoun talked to his players about during the mid-afternoon film session. 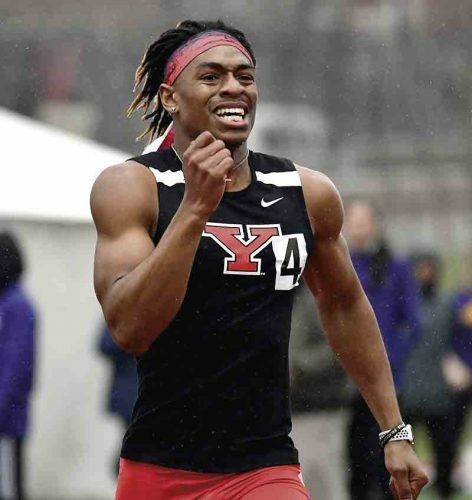 It was about 24 hours before the 1 p.m. game at Detroit Mercy, a team YSU could not overcome in the previous 12 meetings. The scouting report on the Jan. 31 Oakland win focused on taking away out-of-bounds plays, where YSU did not give up any points to the Golden Grizzlies. 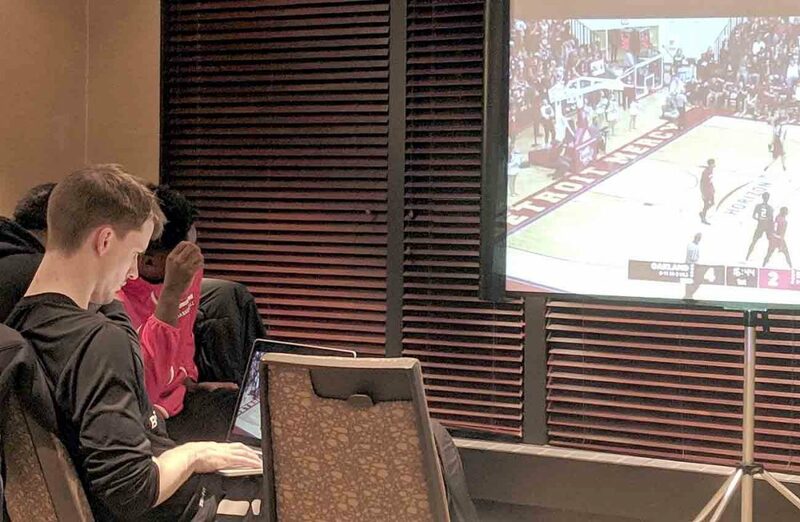 Tribune Chronicle / John Vargo YSU men’s basketball assistant to the head coach Danny Reese shows some game footage during a film session Feb. 1 at The Westin hotel in Southfield, Mich.
Reese takes a more active role in helping Calhoun prepare scouting reports. Bruinsma, YSU’s director of men’s basketball player personnel, spends his time in front of a laptop, spread over two seats on the tour bus transporting the Penguins team to their next destination. He was the last one out of the Detroit Mercy gymnasium on Saturday afternoon, waiting for raw footage of YSU’s win over the Titans. Bruinsma kept talking about TCU coach Jamie Dixon and how, when he was the University of Pittsburgh mentor, had a defense which flustered Syracuse for three straight wins in Dixon’s last season with the Panthers. Bruinsma was proud of how YSU used those tactics in the Detroit Mercy victory. Bruinsma honed his coaching skills at Portland State with former Cleveland State coach Gary Waters and under former YSU coach Jerry Slocum. He is not an assistant coach for the Penguins, but uses those skills as an advance scout as part of Calhoun’s staff. Look at Bruinsma’s laptop. On the top left is video and the editing tools are below. On the right are the YSU players in color coding with details in small boxes below their name and number. It looks like a soundboard with intricate controls. Nothing is left to the imagination. Bruinsma spent most of the trip back from Detroit to Youngstown working, aside from the extremely bumpy ride on I-75 in Michigan, which felt eerily similar to pothole-ridden Market Street in downtown Youngstown. There’s little rest for him, staying up until 1 a.m. or later after game nights in the hotel. He was downloading the Cleveland State-Detroit game while re-watching the win over Oakland on Jan. 31. He has to multitask. Bruinsma studies up to six games of an opponent, putting notes on the side as he watches. From there, it becomes a well-documented, two-page report of his assessments to Calhoun. You can look at the bench before the game and see Bruinsma and Calhoun conferring before the game. It’s something they do on road games, hashing out a plan before presenting the film to the players. That plan is finalized with film and statistics from Bruinsma and Reese. Reese is starting to learn more of what Bruinsma does and working with him more extensively, which he did on this road trip to Oakland and Detroit Mercy. Those film sessions are transferred to each shootaround or walk through in the opposition’s gym or somewhere nearby the hotel. Calhoun is beside the video screen and emphasizes each facet to his players during film sessions. “Coach takes the floor and he really becomes like a teacher,” Reese said. The players have their prep work, but not before the coaching staff puts in their due diligence.